Kingfisher Windows can provide its customers in Skipton with a full range of double glazing products. Whether your project is small or large in scale, we’ll help you choose double glazing that’ll add value in every way – aesthetically, operationally and performatively. There’s no downside. Do you need to replace your front door? Are your windows no longer thermally efficient? Perhaps your conservatory roof is starting to fail, and you need a new one. Kingfisher Windows can help with these three scenarios and much more – so contact us today for double glazing advice. Create an impression of space by adding bow or bay windows to your home. Inside and outside they’ll add a touch of grandeur to your Skipton home, while also letting in plenty of light that’ll connect your interior rooms seamlessly. If you need double glazing that’s suitable for an older property, our uPVC sliding sash windows will provide a vital touch of heritage charm. Because it opens from the bottom instead of outward, this style of window won’t intrude into your room. 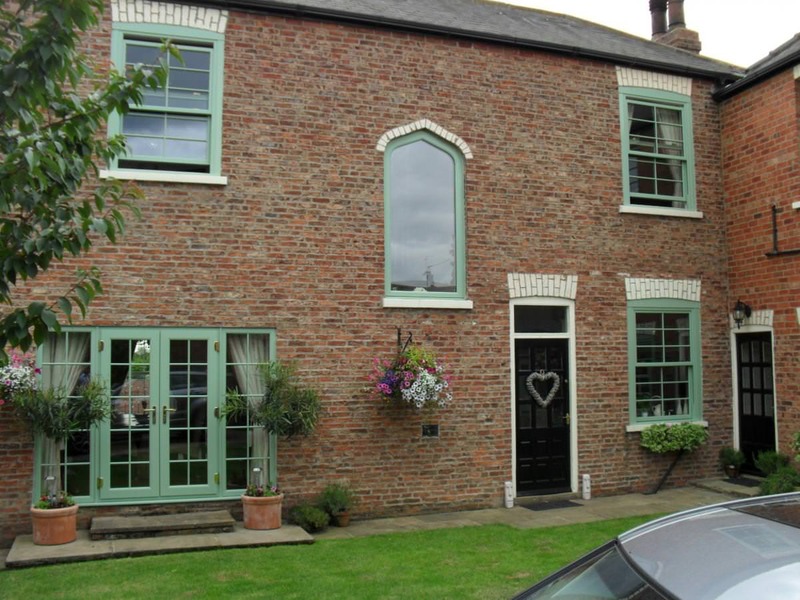 Our uPVC Georgian windows are available in two different designs. If you want to achieve a contemporary look, the Optima Chamfered is composed of fine lines. Want a more rustic look? The Optima Sculpted offers a timeless aesthetic. The first thing visitors to your home in Skipton will see is your front door. Our composite range will provide the strength you need – because its composed of multiple materials compressed together – and will reward you with superior visuals. Our uPVC patio doors boast expansive areas of double glazing that’s optimised for light entry. They glide open and closed via a dedicated rail system and provide a wide access point that’s ideal for entertaining visitors at your Skipton home. Choose Masterdor if you want a door that’s designed for sheer strength, but refuses to compromise on visuals. Two slabs can be used to build the profile, which means your product will be able to stand up to harsh impacts when required. If you are thinking of moving from your home in Skipton because space is limited, or want to add value to your property, an orangery or conservatory will solve your conundrum. Are you unsure of the relative benefits of each? A conservatory is composed of around 75% glass; an orangery is built mostly from masonry. The above models can be inverted and are, therefore, interchangeable. Whether you want double glazing that’ll let in lots of light, or a private space to relax in, you’ll benefit from a room that can be used to serve different functions – from acting as a dining area through to a lounge, study or even a playroom. 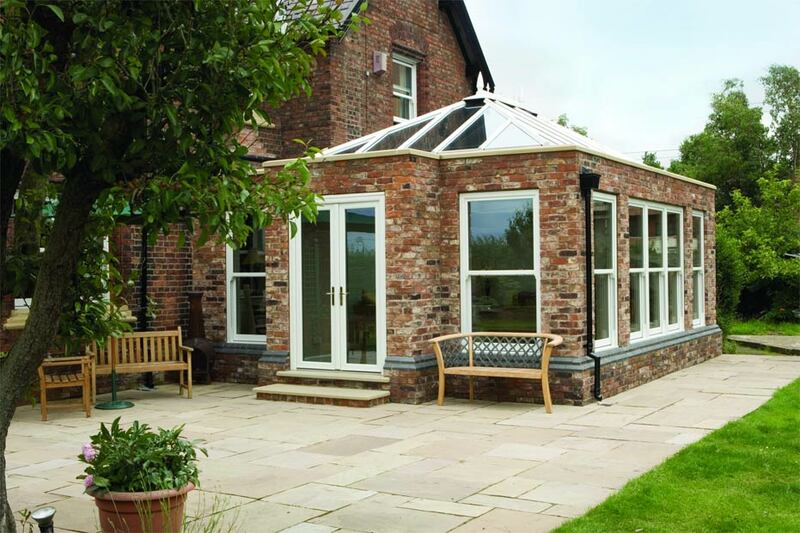 Orangeries and conservatories are available in different design formats. Depending on the size and layout of your home in Skipton, you may need to modify your double glazing strategy. A lean-to conservatory is square or rectangular, for example, and its roof will fit neatly under the eaves of a bungalow. Once you’ve settled on an orangery or conservatory design, and selected the right double glazing for its doors and windows, you’ll need to think carefully about which roof system to use. Kingfisher Windows offers two different types of conservatory roof – glass or tiled. Both systems will provide similar benefits, but one may suit your design objectives better than the other. Both our roof systems provide superb thermal efficiency levels and will lower your bills and carbon footprint. Combined with the right double glazing, they’ll keep your new room warm 24/7. A glass conservatory roof will let in more light than a tiled one. If you want a more private space, a tiled system is better. We’ll help you locate the right double glazing to complement your choice. From the moment you contact us, through to the completion of the work, we’ll be on hand to offer our full support. Kingfisher Windows’ friendly team will help you choose the right double glazing for your project and to suit your budget – so contact us today for more information by sending us a message or calling us on 0113 2854985. We are FENSA registered company and are members of other competent person schemes too. You will be able to instruct us to complete work at your Skipton home, safe in the knowledge that the quality of our work has been independently assessed and approved. Our double glazing also comes with a dependable 10-year insurance backed guarantee.